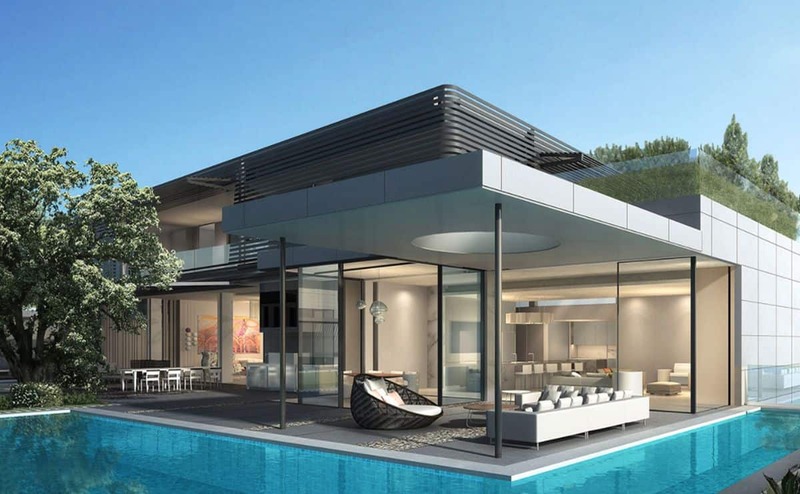 This Beverly Hills contemporary represents an innovative, new standard in a high-end California home. The residence is wrapped with translucent glass walls with a continuous louvered shade system, addressing the challenge for meeting the client's desire for a home that feels integrated with the outdoors while maintaining privacy. Extensive private gardens, restful water features and pool surround the family compound creating multiple entertainment opportunities. Studio William Hefner’s comprehensive vision for the project also includes landscape and interior design services. Stonemark exceeded my expectations. I would recommend them without reservation. © 2018 Stonemark Construction Management.